Welcome to the latest edition of road.cc’s buyer's guide to short-sleeved summer cycling jerseys in which you’ll find everything you need to know to find the right jersey for you, plus our pick of 17 of the best summer cycling jerseys. In this updated version of our guide to summer jerseys, we've added the Podia Club Colours, and dhb Aeron Lab Raceline jerseys. Summer jerseys use lightweight, sweat-wicking fabrics to keep you cool, dry and comfortable on the bike, even on hot days. It's not all stretchy Lycra; jerseys can be made from woven synthetics for a less shiny look, or even very lightweight wool blends. Full-length zips are good for cooling, but may not hang as well; half- and three-quarter-length zips are a great compromise. Remember your sun cream — you might even need it under the jersey if you go for the very lightest mesh fabrics. While you can wear a t-shirt when you go cycling, you'll soon drown in your own sweat. Better to wear a specific cycling jersey made from a breathable fabric to keep you dry and cool no matter how long or hot the ride is, ensuring you remain comfortable all the way. 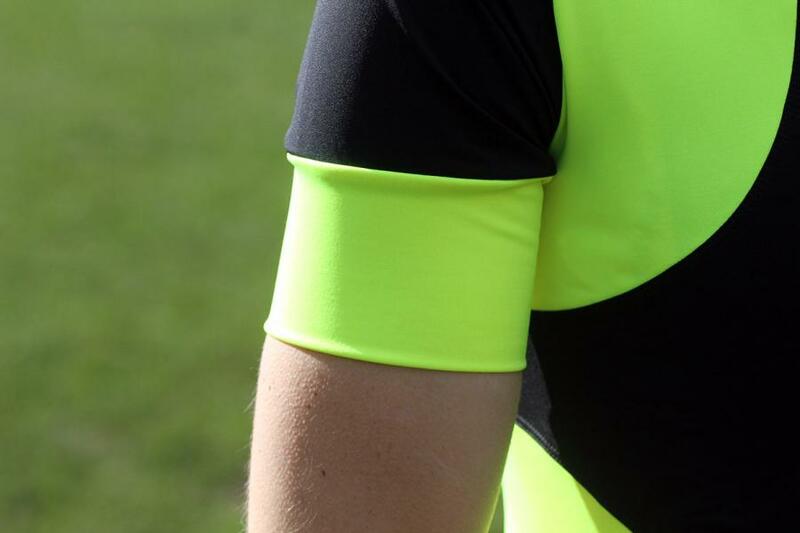 Along with padded shorts, a good short sleeve cycling jersey for warmer weather is an essential part of any cyclist's wardrobe. You can shed litres of sweat on long rides in the sun so a technical jersey made with a high wicking fabric will keep you dry and cool. Worth noting is that many jerseys can be worn nearly year round, during early spring and late into the autumn. As part of a layering system, a jersey can be paired with a gilet and arm warmers and used on cooler days around the calendar. A summer jersey is a simple garment in essence, but look through any catalogue or browse your local shop and you'll quickly realise there are hundreds of different jerseys. They're all trying to do the same thing though, but how they do it can be very different, so it's worth being clear what you're looking for before you starting buying. You can pay anything from £5 to £130 for a jersey, but an expensive one isn't necessarily 20 times better. Generally, you're paying extra for better and more advanced fabrics that are better at wicking sweat and keeping you cool and dry than very basic fabrics. You can also expect improved fit and styling and extra features. Yes, you could wear a t-shirt on your bike. But cotton, as you'll find out if you ever ride in it on a hot day, isn't that great at dealing with sweat; it simply holds onto it, and before long will be soaked through. Add a light breeze and you can quickly chill. Not good. So the aim of a technical jersey is to wick sweat from your skin to the outer side of the fabric, where it can evaporate. That leaves you dry, so you don't get clammy with sweat and won't chill if the temperature drops or the wind picks up. Man-made synthetic fabrics are the mainstay of summer jerseys, but natural materials – basically types of wool – are also good choices. Naturally sourced materials such as Merino wool have developed a lot in recent years with many improvements and developments leading to Merino wool being a good choice, even on hot days. One particular benefit of woollen jerseys is that the fat molecules in sweat find it harder to cling to the organic fibres than they do with man-made polyester, so wool jerseys take a lot longer to pong. Another consideration for cycling in hot weather is to look for a jersey with a fabric that provides some sun protection. Some jerseys use very lightweight and loose weave fabric that can let a lot of harmful UV rays through, so manufacturers have started addressing this by making clothing with SPF and UPF ratings. When you're cycling you're exposing your back to the sun, the area under your jersey that you most likely don't apply suntan lotion to. You can have the best and most expensive fabric in the world, but if the jersey doesn't fit well you'll lose a lot of performance. Fit is, naturally, a personal thing, and also depends on the style of riding you do. If it's sportives and racing, then tighter fitting jerseys are better, they're less flappy and more aero. For touring and leisure cycling a relaxed fit with a more generous cut will be preferable. Equally too for commuting to the office. Such jerseys can be made from highly technical fabrics, but offer a more relaxed style that is as comfortable on the bike as sitting in the beer garden for a post-ride drink. Sizing is critical, whichever your chosen style, and here companies offer a range of sizes that should sit most body shapes. Some measure up smaller or larger than others, so don't take it for granted that you're a medium in one brand that you'll be the same size in all other brands. Trying before you buy is really the best way to proceed, if you have the opportunity. If you're racing or seeking an aerodynamic advantage, there are a raft of new jerseys designed to sit very close to the skin, with no excess material to flap in the wind, and help your upper body better cut through the air. They're not for everyone though... Remember, about 80% of the wind drag you face when cycling is caused by the body, so ensuring your body is aero is a better place to start than dropping £2K on a pair of carbon deep-section wheels. Features can make or break a good summer jersey, and generally speaking, the more features the higher the price. The very minimum you want is three pockets around the back for stuffing a ride's worth of food, money and spare tubes, and a zip at the front for when you need to cool down. That's your classic cycling jersey right there. There's a myriad of extra options, with everything from zipped pockets, full-length zippers, mesh panels strategically placed for maximum ventilation, elasticated waists, silicone hems to stop them riding up, and reflective stripes, good for riding late into the summer evenings. How the jersey looks is purely personal preference, there's enough choice out there to keep everyone happy. Your options range from team replica kit, understated but stylish branded wear all the way through to the current trend for retro inspired garb. And the choice continues to grow. A big growth area has been in the cycle clothing that doesn't look like cycle clothing, that could happily be worn off the bike without raising eyebrows. Yet using the latest technical fabrics and smart fit, means they work well on the bike when you're hammering along the road. Women are better catered for now than they ever have been in previous years, with most manufacturers now offering comprehensive choice of jerseys specifically to cut to suit the female form. And some even manage to avoid making their jerseys pink or baby blue and plastering butterfly details over them, but if that's your thing there are still plenty of pink and flowery tops too. 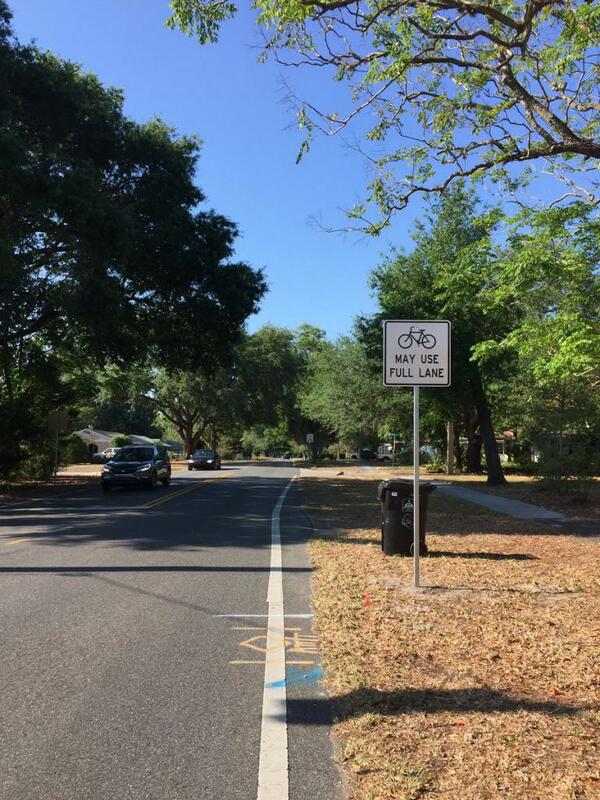 It's not a good idea to wear your new cycle jersey more than once, even if it was just a short ride. Your perspiration settles into the fabric of the jersey, and the bad smell is caused by bacteria. So wash your jersey after every ride. For washing, it's important to follow the manufacturers guidelines printed on the care label. The temperature rating is the vital bit, and it's necessary to wash accordingly. If you do wash a fabric at a higher temperature than advised and do so constantly, the fabric will deteriorate in quality. Washing liquid or gels are preferable to powder as they are less aggressive with the delicate fabrics, though powder is better at getting out really muddy stains. When it comes to drying avoid the tumble drier at all costs, unless you want your jersey a size smaller. Hang on the washing line or over a clothes rack and allow to dry naturally, the best thing about cycle clothing is how quickly it dries, so you won't have to wait long. Other tips, don't forget to empty the pockets – sounds obvious but I've lost count of the times I've stuffed a jersey in the washing machine and forgotten to remove a used gel wrapper. We would advise washing your cycling clothing separately from your ordinary clothes too. And don't forget to zip up the zippers as well. Let's kick off with some of the summer jerseys we've loved recently, then take a look at a broad range of evergreen favourites. Oh, and if this selection's not enough choice for you, check out the full road.cc archive of short-sleeved jersey reviews. Brighton-based clothing brand Morvélo is renowned for its striking colour schemes, and this EFX Nth Series jersey continues that theme. Bold graphics aren't there to mask an average product, though, as this top is impressively comfortable and offers superb performance no matter how hard you're riding. The Nth Series jersey uses a combination of different fabrics in its construction, and by holding the jersey up to the light you can easily see the difference. The main front section uses a material that is pretty thin and has a very small-holed mesh style design which lets through plenty of cooling air but without you getting cold, so the jersey isn't restricted to just the really hot days. The Flux Chevron jersey is a well-thought-out, high-performance piece of kit available exclusively from Evans Cycles for a great price. The Lycra main body is stretchy so that the race cut never feels restrictive, whatever position you tend to ride in, while also keeping fabric bunching to a minimum. At the same time it's very soft with lightweight flat stitching on the inside that helps minimise rubbing, so comfort levels are impressive too. The Sportful R&D Cima jersey offers excellent hot weather performance with a very figure-hugging, race-ready fit that makes it ideal for summer cycling and racing. Sportful works closely with the pro teams it sponsors and learns valuable lessons from the demanding world of racing. The R&D Cima jersey is the latest product to come out of the Italian company's research and development programme, a pro-tested jersey designed for hot weather and high mountains. The Assos SS.centoJersey_evo8 is one of the nicest and most comfortable jerseys I've tested this year. 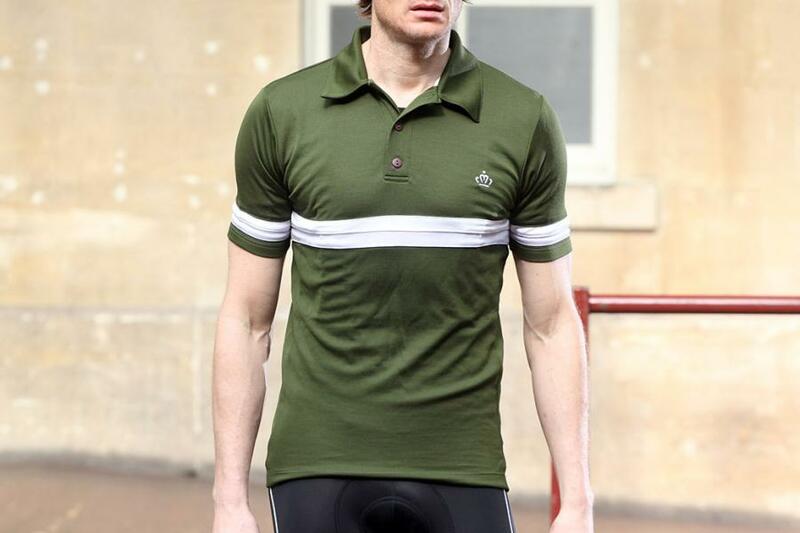 It combines top-end fabrics and construction with a fit that is a little more relaxed than some, superb breathability and some nice details, making it a lovely jersey for long summer rides. Assos has developed its own fabrics for the jersey and uses one with a high stretch factor so it's a little more accommodating than some, ideal if you're no Chris Froome weight weenie. It's still close fitting but it's not exactly racing fit constrictive. The mesh back panel helps breathability and stretches horizontally but not vertically, to prevent the pockets sagging. There are recurring themes to Castelli jerseys: typical quality, performance and Italian style (good), set against an Italian fit (erm... not always good) and value (ditto). The Entrata 3 FZ, however, is a summer jersey almost without flaw. Often, one of the main criticisms of Castelli kit is the fit and cut; a performance brand at heart, it's not always going to suit every rider out there. I suspect there are plenty who'd like to sport the Scorpion logo, but can't because of the often racy-tight cuts and smaller sizings. That's not an issue with the Entrata 3, though. Sure, it's still a slim cut, but Castelli has tailored it to fit without feeling overly compressive or restrictive. The large fits our tester Ash's 188cm, 80kg, 100cm chest, ex-swimmer's frame without fault, and that's not something we can often say about Castelli kit. 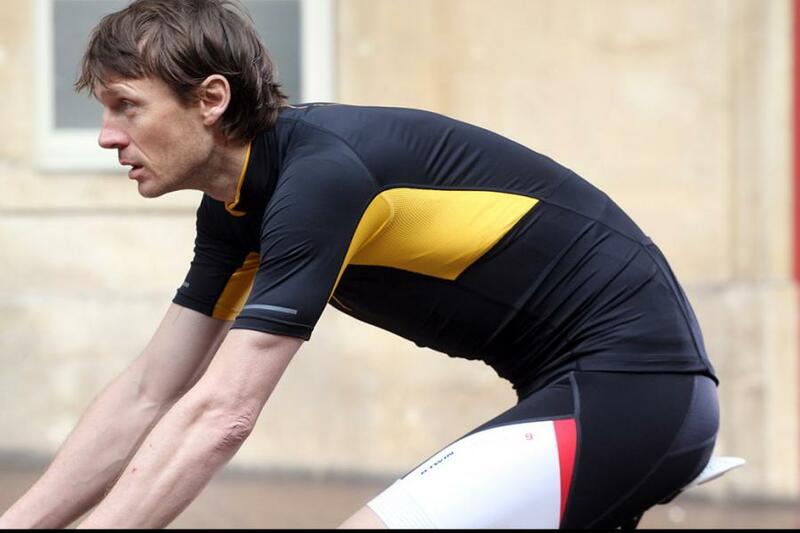 dhb's Blok range is inspired by jockey racing silks and retro team geometrics, which change every year. The fit is described as 'anatomic'. In practice, the fabric is highly elastic, and I found the cut figure skimming; stretching comfortably over the hips and chest and in at the waist. I could have happily sized up for a more relaxed fit without compromising a female silhouette. The excellent fit is compounded by the generous length of the jersey. It sits comfortably on my hips, and combined with the added security of a silicone strip running along the hem, doesn't ride up at all. The standard three-pocket design is supplemented by a nifty hi-viz zip on the right, giving access to a smaller pocket easily big enough for keys, coins or a debit card. 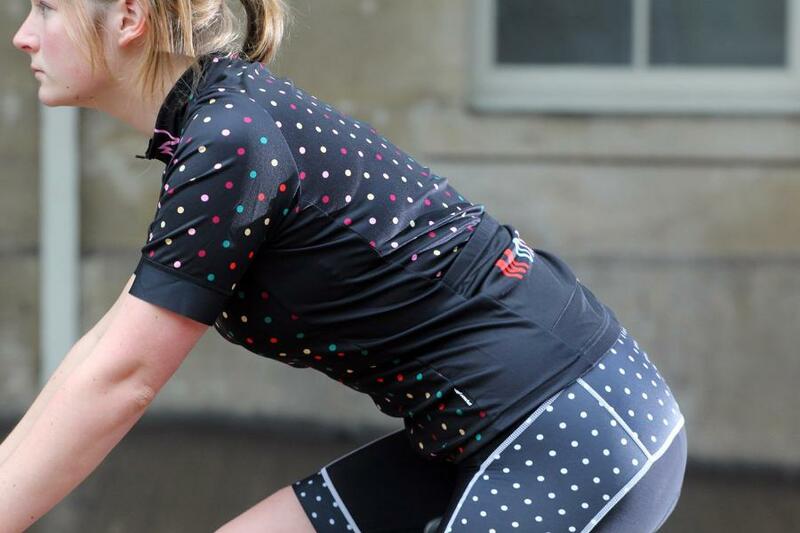 Read our review of dhb Blok women's jersey. With a racy fit and cooling areas built in, Altura's Podium Elite jersey is aimed at the higher performance end of the market than the UK brand's usual fare, and it's spot on for hot summer rides. This is definitely a jersey for hot days. The sheer mesh on the underarms works really well at keeping you cool when it's 20 degrees or more out. Compared with other racing/performance jerseys, around £60 is pretty good value for what you are getting with the Altura Podium. We recommend it to anyone looking for a jersey they can ride fast in on hot summer days. 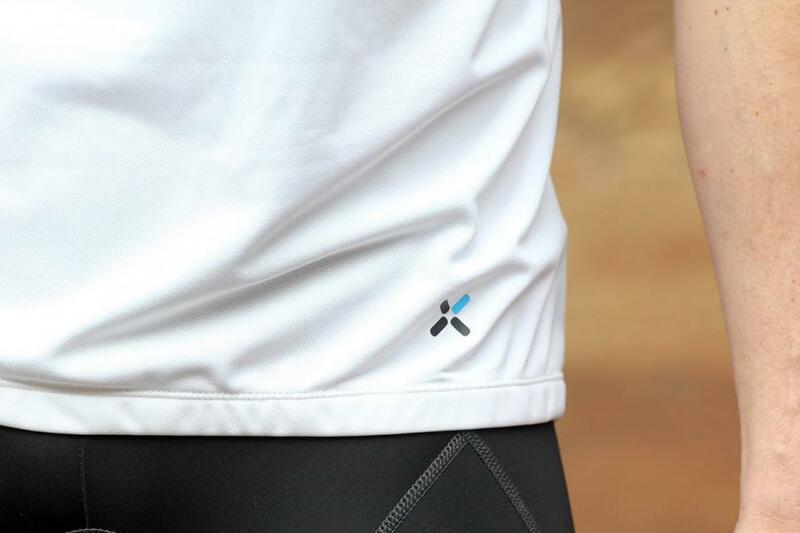 The Podium Elite is the updated version of the Podium jersey we tested a few years ago, and liked. The Cycology Mondrian shows you don't need to spend big to get a great jersey. It has an innovative twist on the Mondrian look, decent breathability and all the elements that you would want from a modern jersey. At first glance there is something very familiar about the look (or rather, the Look) of the Mondrian jersey, and I'm sure most people who know anything about Look Cycles, Greg LeMond and Bernard Hinault will agree. However, Cycology has taken a new approach to the famous Mondrian pattern, filling the coloured shapes with cycling tattoo images. It's genuinely stunning. It also performs well. Helping this is the breathability and wicking, which comes from the '4 way stretch Italian thermal fabrics'. I used this throughout a later-summer and it performed well, moving moisture away from my skin well and allowing a decent breeze through. This is helped by the two different types of fabrics used. On the front it is slightly denser, while on the back and sides it is closer to a mesh. These back and side panels are what really helps the breathability. The jersey also has a full-length zip, which can be opened or closed to help regulate temperature. The fit on the Bodyline jerseys is top drawer; it's no exaggeration to say that it's on a par with high-end jerseys costing over £100. The sleeves are undoubtedly the highlight. Super stretchy fabric gives a tight aero fit on the skinniest biceps with a raw cut end - no seams. I'd never previously found myself irritated by a seam on the end of my sleeves, but raw sleeve ends are what the pros are mostly wearing and they're bloody lovely. Quite simply, they are the best-fitting and most comfortable sleeves of any jersey I've worn, at any price. The torso is also a close aerodynamic fit which I found was very comfortable and not at all restrictive; you can really see the expertise of manufacturing subcontractor Bioracer here. Breathability is decent, if (unsurprisingly) not on a par with the ultra lightweight jerseys that the likes of Castelli, Rapha and Adidas have produced recently for the hottest of summer days. 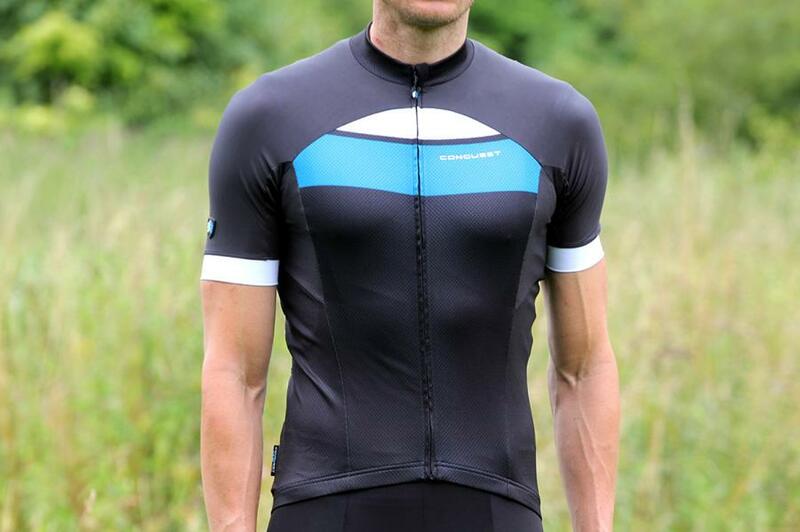 Read our review of the Stolen Goat Bodyline jersey. Rapha's Core Jersey joins the Core Bib Shorts, in its 'affordable' range. Although £60 is still not what you might call super-cheap, it is a fair bit less than other Rapha jerseys and, crucially, it's very good. It takes design cues from the Classic range and strips it back, eschewing the signature contrast stripe on the sleeve and instead opting for a subliminally stitched version. Elsewhere, you find same-colour stitching and a fabric that more closely matches the Pro Team jerseys than Rapha's wool-based offerings, just without the skintight fitting. It's a great compromise that includes decent features and fabrics from Rapha's previous designs and research. It has a slim yet not restrictive cut, with a long back and sizeable pockets. 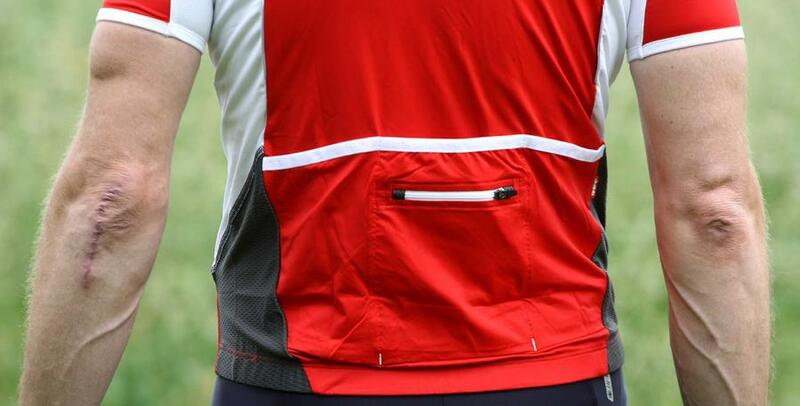 Each of the three open pockets and the zipped fourth are easy to reach, although when the pockets are empty the jersey can ride up. Our tester found this occurred especially when he had a jacket on over the top, even though the silicone grippers around the waistline are prominent and feel high quality and grippy to touch. Isadore pitches its products to the higher end of the market, priding itself on creating sleek designs using the best materials for the serious and stylish cyclist. That much is clear from this jersey, and it more than delivers in terms of performance too. Moisture-wicking is extremely good thanks to its merino wool blend (you'll find 23% merino and 77% polyester in this jersey, hence its name), and so remains comfortable to wear whether you've just gunned it up a steep climb and are getting a real sweat on, or just out for a gentle spin around your local flatlands – in which case the warmth afforded by the wool comes into play very effectively. Bontrager's Ballista range is all about top end performance, which is why the £119.99 jersey fits so well while offering both breathability and an unbelievable range of movement. It carries an impressive amount of attention to detail too. Made from Profila fabrics, the Ballista is all about technology and what can be achieved with it to create the best garment possible. It's a jersey of very few compromises and comes with an unexpectedly robust build quality, something a lot of lightweight kit doesn't offer. 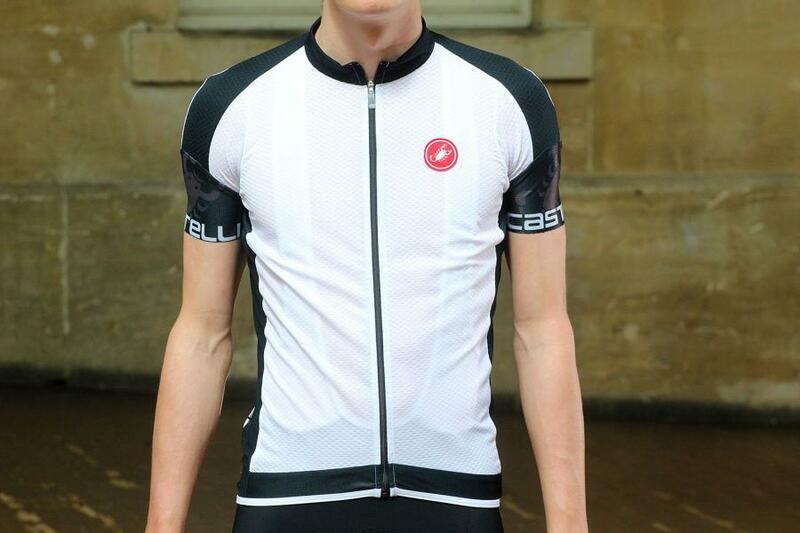 The Assos SS.laalalaiJersey_evo7 is a superb summer jersey in terms of both comfort and functionality; if you are happy with the price tag, you certainly get a quality garment. Initial impressions of this jersey were that 'there's nothing to it'; all of the material used is exceptionally thin and lightweight. Assos' type.002 material is used for the main body – it's a thin, stretchy fabric that glides over the skin while simultaneously wicking away any moisture and allowing good airflow. It's the rear panel of the jersey that predominantly delivers cooling, though, and comprises Assos' mono-stretch type.220 material. This fabric offers some stretch horizontally across the back, so constantly adapting to the body's movements on the bike, but no give in the vertical weave, ensuring stability under the weight of objects in any of the three rear pockets. Assos' SS.equipeJersey_evo8 is the eighth generation of the classic Equipe, a racing jersey with a high tech design but at a price that makes it competitive with rivals from other premium brands. It offers style, an excellent fit and superb breathability. This version of the Equipe represents a change of style for Assos, with a hazard pattern replacing stripes on the left sleeve and an asymmetric design. It's a bold looking jersey, especially in this yellow option (other colours are available, including a more muted black) and you'll definitely stand out on the club run. We test jerseys to help you choose the right one for your needs, take a look at the archive here. What's the green polo style jersey under the fit is everything section? looks great for a saturday leisure ride with the wife in the sunshine. TORM Sportswool jerseys & Stolen Goat for me. Not sure that Conquest is really on the go at the moment. The website is still there, but there is almost no stock. Looks like just the last few items from previous runs. I had previously bought a base-layer, jersey and shorts from them and I was happy with all three items. Staring out through a rain slashed window with cold permeating the double-glazing, I can't imagine ever needing one of these.... it's the Gabba for me today - that covered with a Sturmprinz. I heartily recommend the Embers Merino jerseys. I've got two of the Sun jerseys and they are ace. Nice fit, well designed and manufactured in Portugal. Crucially, as a commuter, the merino content reduces whiff meaning the jersey can be worn on consecutive days. Coming from Australia I'd have to say that on a properly hot day there is nothing that cools you quite as well as a thin cotton t-shirt shirt. The only reason that I use my summer Jersey in summer is for the pockets and the closer fit (and it's quite cool for a cycling Jersey with very lightweight mesh polyester fabric over most of it). It is very different to the English summer here (often 25-30+ celcius) but cotton is good when it's really hot. IMHO, cotton is an awful choice to wear in hot humid conditions (such as 365 x 30+ celcius Singapore). It just soaks up the perspiration, and then becomes "heavy" and never dries out. I'd agree, coming from and living in a hot and humid Philippines where the only two seasons are "hot" and "rainy". 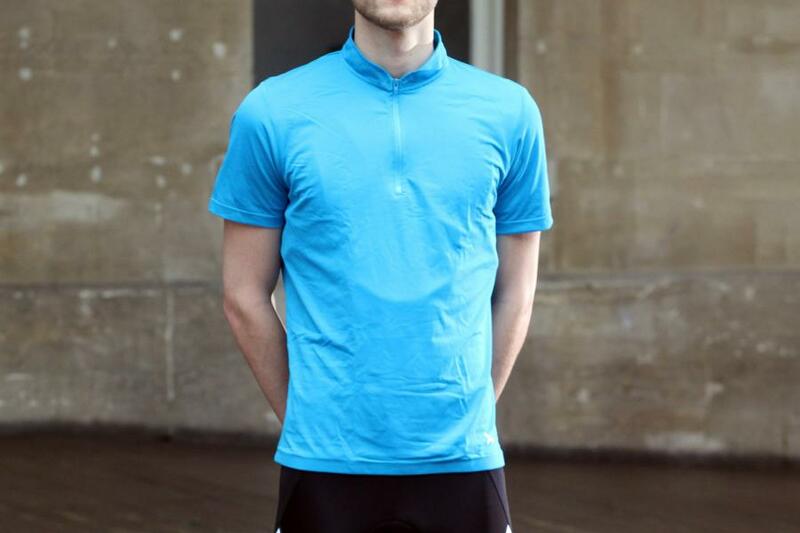 Even just a technical fabric t-shirt is better than cotton, if for some reason one is averse to skin-tight lycra. FP15 cycling do an incredible jersey! You can't even feel it's on it's so light!!! 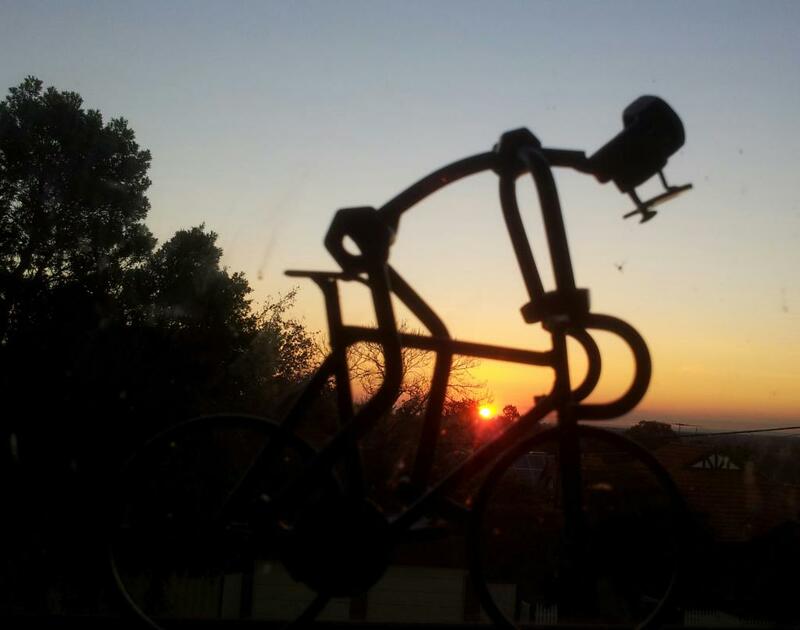 I agree with 'antigee' (check out Ground Effect's range) - last year I did 9 rides (80km+) with temperatures at or above 40°C and around 20 or more with temps in the mid to high 30s. All in full sun with the UV index of 12+. And I hate sunscreen - you finish a ride with skin like sandpaper and the sunscreen runs into your eyes if you put it on thick enough to do any good. I wear full length pants, long sleeve jersey with UV rated material, a flap around the sides and back of the helmet, wrap-around sunglasses, full-finger gloves and a big sunvisor from an MTB helmet. Maybe overkill but having carcinomas removed isn't much fun either - much happier since I discovered GEs summer gear.